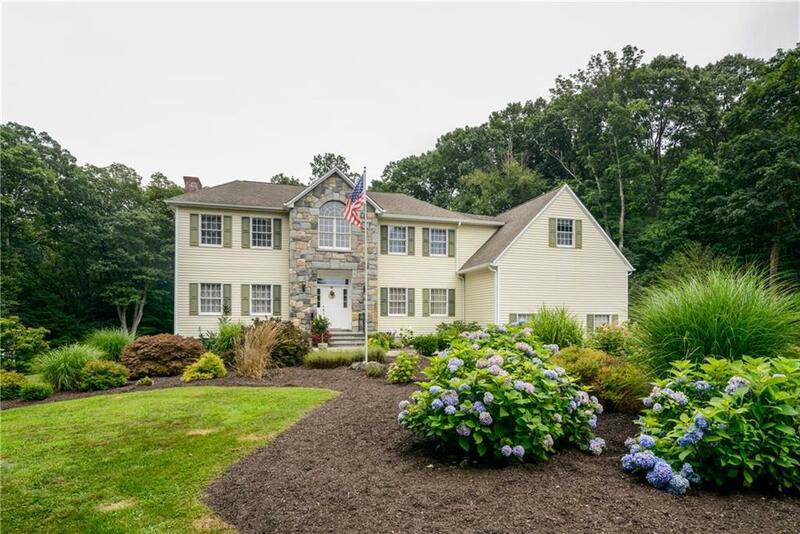 Stunning 5 bedroom Custom Colonial on level 3 acres. 3 car garage and lots of additional parking. In ground pool with extensive stonework and patio for entertaining. Gleaming Hardwood floors throughout, custom kitchen with large pantry and slider to deck. New paint on the first floor. French doors make the open floor plan feel even more bright and airy. So much space plus unfinished walk out basement. Nothing to do, move right in. Directions: Rt. 37 To Bear Mountain, #17 On Right, Shared Drive, Last House Towards Right.